Thanks to support from local building firms, Green Synergy is based in a renovated fish and chip shop on the Tower Housing Estate. We love being here, in the heart of several neighbourhoods in which we work. 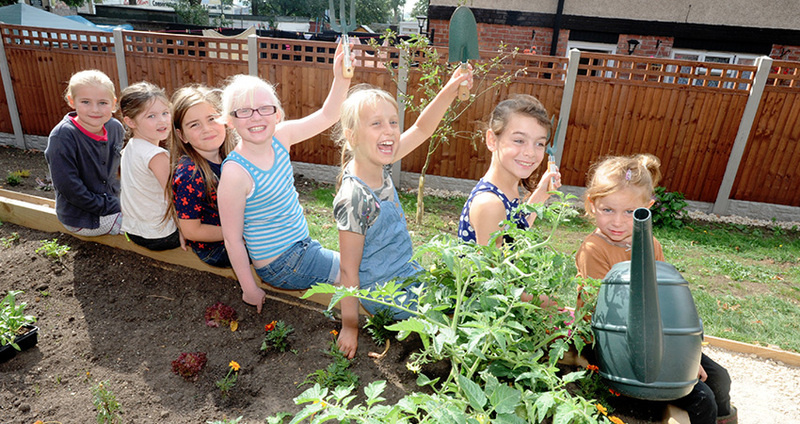 Together with local residents we have set up three community garden projects within a two-mile radius. Our next big venture is to create a two-acre community garden hub next to the Tower Estate on derelict land at the back of the County Hospital. All of our work is driven by our core values, beliefs and charitable objectives. We believe in the value of gardening and city farming to make positive improvements for communities and individuals. By working cooperatively with other people and organisations we produce a greater combined effect than we could each achieve on our own. 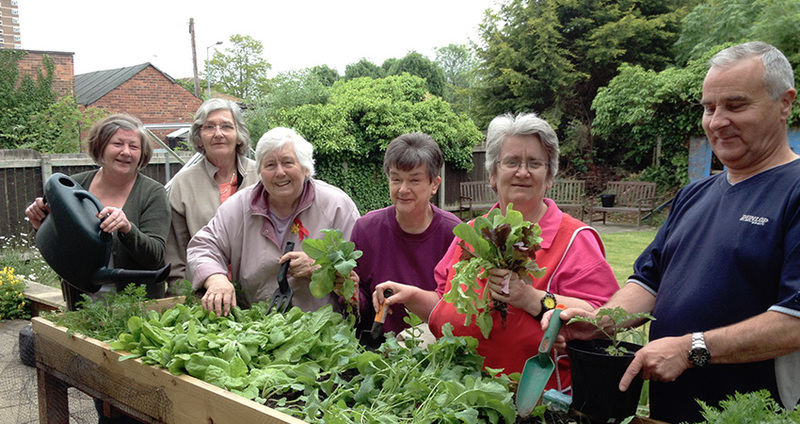 We use therapeutic horticulture and community development methods to deliver our projects to a high standard. We work with professional accountants, health and safety experts, human resources experts who provide us with specialist advice and support. Our Board of Trustees ensure we have good governance. We work to improve our local environment and educate other people on how they can do this too. Financially: we carefully manage our budgets and generate funds through a range of sources to ensure we are able to cover our running costs and continue to grow. 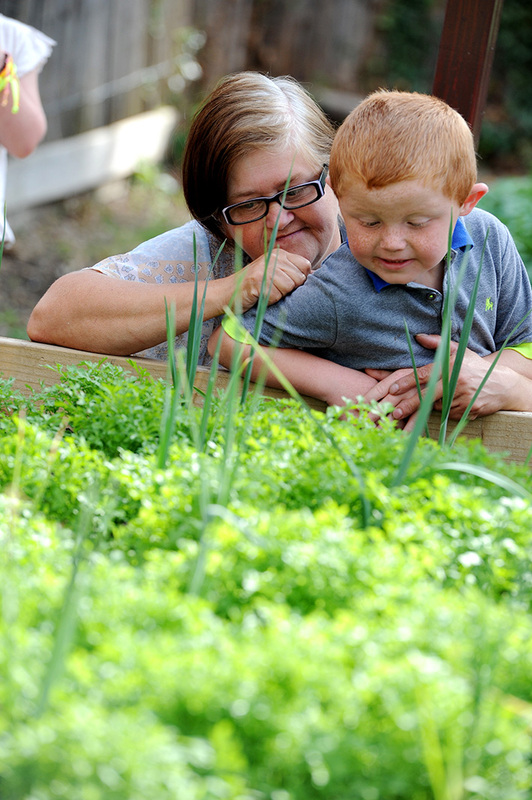 Socially: we work together with local beneficiaries to design projects which meet local needs and help to build healthier, stronger communities. Use community gardening and city farming to develop skills and capacity of the members of the socially and economically disadvantaged communities in such a way that they are better able to identify, and help meet, their own needs and to participate more fully in society. Promote sustainable environmental, economic and social development for the benefit of the public. Promote and protect good health in particular by providing opportunities to engage in therapeutic horticulture and agriculture. Advance the education of the public in horticulture, agriculture and conservation of the environment. Provide or assist in the provision of facilities in the interests of social welfare for recreation or other leisure time occupation. Many of my happy childhood memories involve growing and eating garden produce, looking after an assortment of pets and farm animals and, visiting family, friends and neighbours in my local community. These early influences went on to shape my adult life whereby I developed a strong interest in sustainable development. Over the years I have worked and volunteered on a range of community development, agricultural and environmental projects in the UK and abroad including a city farm in London and a vocational training centre in Botswana. I have studied for a BA Joint Honours Degree in Geography, Environmental and Development Studies and an MSc in International Rural Development Studies with Organic Agriculture. When I first moved to Lincolnshire in 2010 I was working for a national agricultural and environmental consultancy and through a work-based volunteering scheme I helped to set up a garden project for a local homeless charity- The Nomad Trust. Whilst doing research for the project, I was surprised to discover that, at that time, Lincoln didn’t have its own city farm or central community garden. Consultation with the local community revealed a need and an interest for more green space projects. One big leap of faith later - Green Synergy was born. Before joining Green Synergy in 2014 I spent two years studying at Riseheolme College. I qualified with a Level 3 Extended Diploma in Horticulture and then went on to work as a freelance gardener for a 3acre farm and gardens. Twice a year the garden would open to the public to raise money for the National Garden Scheme. As Green Synergy’s Projects Support Officer, I take care of our administration and bookkeeping. I also assist in managing the office and provide support to our Project Officers and Chief Executive. I am passionate about garden design and in 2015 I designed a Silver Medal winning, small Artisan Garden at RHS Chelsea Flower Show for the Motor Neurone Disease Association. I am currently studying an RHS Level 3 Garden Design, Construction and Planting certificate at Brooksby College, Melton Mowbray. I also use my garden design skills within Green Synergy and have recently created plans for a sensory garden at the Peter Hodgkinson Centre at Lincoln County Hospital. Originally from a rural background, I’ve had a love of gardening and nature all my life. Working with people, plants and landscapes has given me a passion for social justice and bringing something of the beauty of life to the heart of the city. Alongside my paid work, I am also a Curate in the Church of England. My professional background for most of my life has been as a horticultural lecturer, and I still undertake occasional work for the Royal Horticultural Society. I love the simple things in life such as the sights, sounds and smells of nature, the start of spring and the company of friends. I have worked for Green Synergy since 2014, initially running community garden projects around the Abbey Ward of Lincoln. Since February 2016 I have taken on the new role of Gardening for the Brain Project Officer, delivering dementia friendly gardening sessions to people living with dementia and their carers’. I also assist in the management of Green Synergy’s Health and Safety and Fire Safety. I have been the Chair of Trustees since June 2015. I have previously worked in community, partnership and public health roles for the NHS, the Health for All Network (UK) a national public health charity, in the Yorkshire and Humber Regional Public Health group (Department of Health), Health Development Agency and NICE and in local government for 7 years as Neighbourhood Programme and Strategic Partnerships Manager at City of Lincoln Council. I am now independent and have worked extensively with Leeds Beckett University reviewing Bradford District Care Trust community engagement strategy, looking at the sustainability of Health and Social Care Volunteering Fund projects and the BIG lottery Wellbeing programme. More recently we have worked with Healthwatch England to develop and disseminate a set of Quality Statements and associated tools for local Healthwatch to use. I am excited by the opportunities that Green Synergy offers to work in real partnership with communities, engaging people in a meaningful way and achieving real change. I have been involved in the work of Green Synergy since its inception in 2012, first as treasurer and currently as secretary. My interests lie in growing plants and crops and giving everyone the opportunity to get involved and realise health benefits of gardening as well as knowing the satisfaction of getting a plant to flower or fruit. I grew up on a farm and am a Crop Scientist, working with farmers to help them understand and optimise the production of their crops. On a much smaller scale, I enjoy the veg patch at home and am encouraging the next generation in gardening and developing an understanding of where food comes from. I moved to Lincoln from London over 30 years ago and until I semi-retired, ran my own gardening company in and around the area. I have always been a people-person and enjoy helping people to organise groups and events. Since being in Lincoln, I have joined various different groups and organisations. I feel I am now an integral part of the community. I have first-hand knowledge of some of the issues in the area and feel I know the general demographic quite well. I truly believe it is important to listen to our community. I have been lucky enough to have been with Green Synergy since the beginning. First going to the groups and participating and now, as a Trustee. Green Synergy was and is a breath of fresh air to me. I feel very passionate about our whole ethos. I have been a Methodist Minister for 30 years and Lincolnshire Agricultural Chaplain for the last 16 of those. I am a founder member of the Lincolnshire Rural Support Network, helping farming families across the whole of Lincolnshire. My core driver is my ever-changing faith in spiritual exploration and mysteries of human well-being and a passion is for people finding wholeness out of crisis- also finding hope in hopeless situations. I joined the board of Green Synergy in 2016 after recently discovering an interest in gardening and finding out about the work we are doing initiating growing and gardening to enhance the wellbeing of communities in Lincoln. I am married to Denise and enjoy chilling out with our Border Terrier Jenny, our cat Itsy Bitsy and three chickens Molly, Polly and Mildred – although I’m not sure which one is which! We look forward to many more exciting projects to come with your ongoing support. Let’s get growing!